Now retired and a resident of Hillsborough, Ray is a member of a group that meets monthly: “We go down to the river and pick up all kinds of garbage, mostly tires.” During one cleanup, Ray met Angela Gorczyka, now Raritan Headwaters’ Water Quality Manager. Angela told Ray about Raritan Headwaters’ work, and he immediately signed up as a volunteer. Ray started with the Annual Stream Cleanup – which this year had over 1,350 volunteers that removed 14 tons of trash from 55 stream sites. 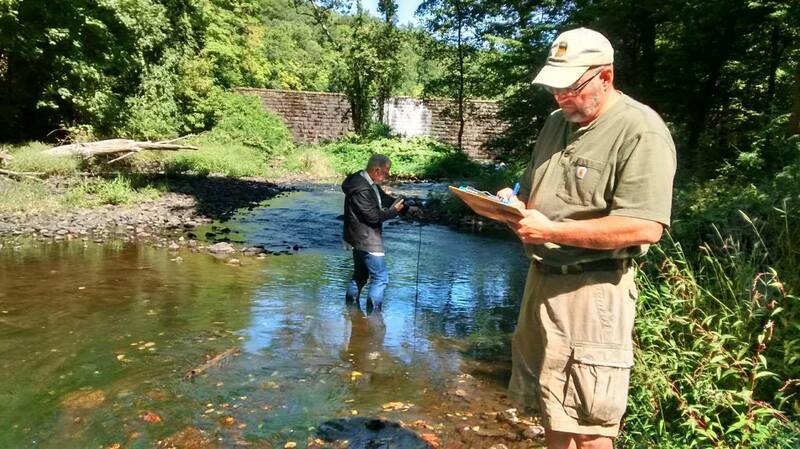 In June, he participated in RHA’s stream monitoring program. 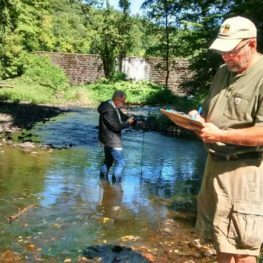 Next year, Ray plans on expanding his skills, helping to launch RHA’s new bacterial testing program in the Peapack Brook and North Branch.